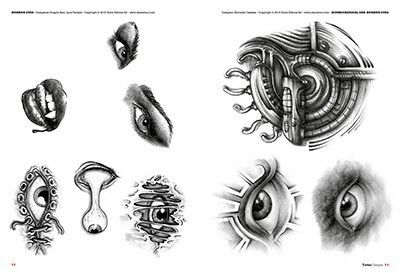 64 pages, 21x28 cm, 233 tattoo designs. 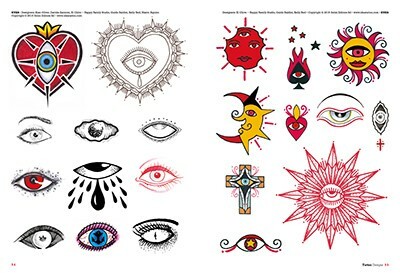 Magic symbol: Reawakening & Protection. 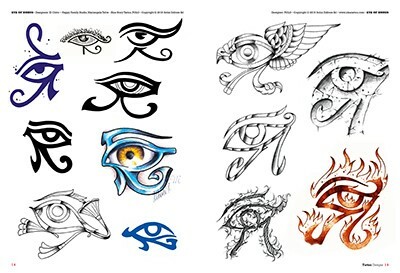 The Eye of Providence, the eye of Horus/Ra, the Hamsa (Hand of Fatimah), eye-in-heart designs, the winged eye, eyes in tears and many more original and magical versions. 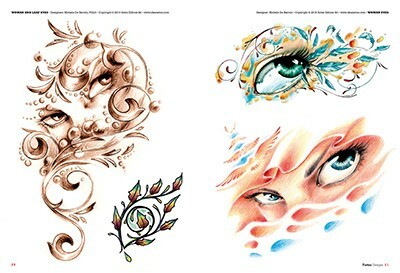 Realistic, horror, biomechanical, traditional and old school styles; dotwork, alternative, black and grey and in colour. 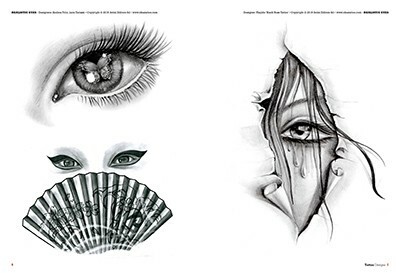 The eye, like the hand, is common in many cultures and it is always used to symbolise deities. 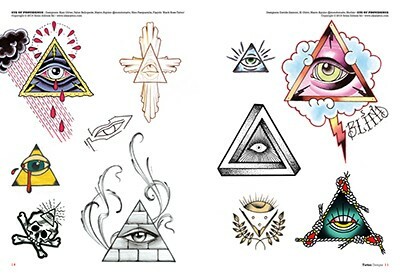 Depicted within a triangle, it becomes the Eye of Providence and “sees all”. Surrounded by rays it is the eternal light. It can also be a symbol of creativity and self-healing. 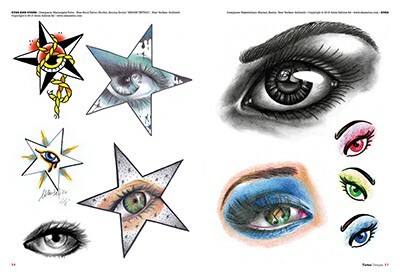 Are you looking for ideas for your “third” eye? 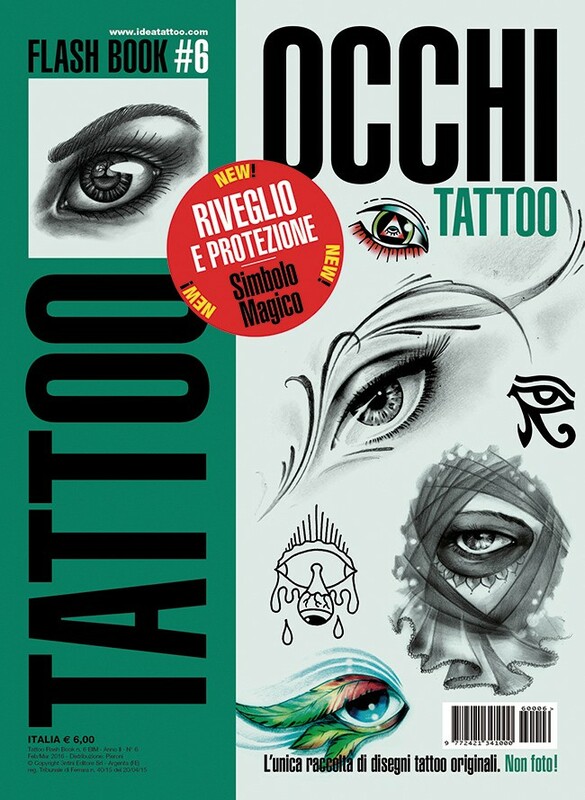 In this collection you'll find these and numerous other significant examples for a tattoo of this universal and magical symbol.